Alfred Sommer, MD, MHS '73, is professor of Epidemiology, International Health, and (at the School of Medicine) Ophthalmology. 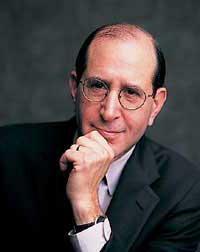 He was dean of the Johns Hopkins Bloomberg School of Public Health from 1990-2005. His research interests include outcomes assessment, child survival, epidemiology of visual disorders, glaucoma, vitamin A deficiency, blindness prevention strategies, cost-benefit analysis, the growing interface between medicine and public health, and clinical guidelines. His long-term, continuing research involves the cause, magnitude, consequences, and control of vitamin A deficiency and, most recently, those of related micronutrients. In a series of complex intervention trials Sommer conducted in Indonesia (1976-1980), he and his research team discovered that vitamin A deficiency was far more common than previously recognized, and that even mild vitamin A deficiency dramatically increases childhood mortality rates, primarily because this deficiency reduces resistance to infectious diseases such as measles and diarrhea. Parallel studies Sommer organized with colleagues in Africa demonstrated that most cases of measles-associated pediatric blindness were also related to low vitamin A levels. To prove these observations definitively, Sommer and his colleagues ran a number of large-scale, community-based, randomized trials from 1983 through 1992 and demonstrated the link between even mild vitamin A deficiency and pediatric mortality. Moving from science to practice, Sommer next showed that the debilitating consequences of vitamin A deficiency could be effectively, quickly, and cheaply treated with oral high-dose vitamin A supplementation, and treatment did not require a sterile injectable preparation. As a result, the World Development Report (World Bank) declared vitamin A supplementation one of the most cost-effective of all health interventions. The latest research by Dr. Sommer and his colleagues has shown that supplementing Nepalese women of childbearing age with vitamin A or beta-carotene can reduce maternal mortality by an average of 45 percent, and newborn vitamin A supplementation can reduce neonatal mortality by 20 percent. West S, Sommer A. Prevention of blindness and priorities for the future. Bull WHO 2001;79:244-248. Christian P, West KP Jr, Khatry SK, Kimbrogh-Pradhan E, LeClerq SC, Katz J, Shrestha SR, Dali SM, Sommer A. Night blindness during pregnancy and subsequent mortality among women in Nepal: effects of vitamin A and beta-carotene supplementation. Am J Epidemiol 2000;152:542-547. Katz J, West KP Jr, Khatry SK, Pradhan EK, LeClerq SC, Christian P, Wu LSF, Adhikari RK, Shrestha SR, Sommer A, and NNIPS-2 Study Group. Maternal low-dose vitamin A or beta-carotene supplementation has no effect on fetal loss and early infant mortality: a randomized cluster trial in Nepal. Am J Clin Nutr 2000;71:1570-1576. Semba RD, Muhilal, West KP Jr, Natadisastra G, Eisinger W, Lan Y, Sommer A. Hyporetinolemia and acute phase proteins in children with and without xerophthalmia. Am J Clin Nutr 2000;72:146-153. Quigley HA, Varma R, Tielsch JM, Katz J, Sommer A, Gilbert DL. The relationship between optic disc area and open-angle glaucoma: the Baltimore Eye Survey. J Glaucoma 1999;8:347-352.